Desktop Icon Toy by iDesk software is a piece of Microsoft Windows software that will allow you to change and tweak the layout of icons on your windows desktop and will also allow you to add tool tips to your icons when you hover over them. It is available in a 14-day trial which you may fully test the product without limitations. Some features of it include being able to arrange your desktop icons into a clock with your local system time. Overall, it is a great tool for tweaking your icon layout on your desktop without being too memory-hungry. 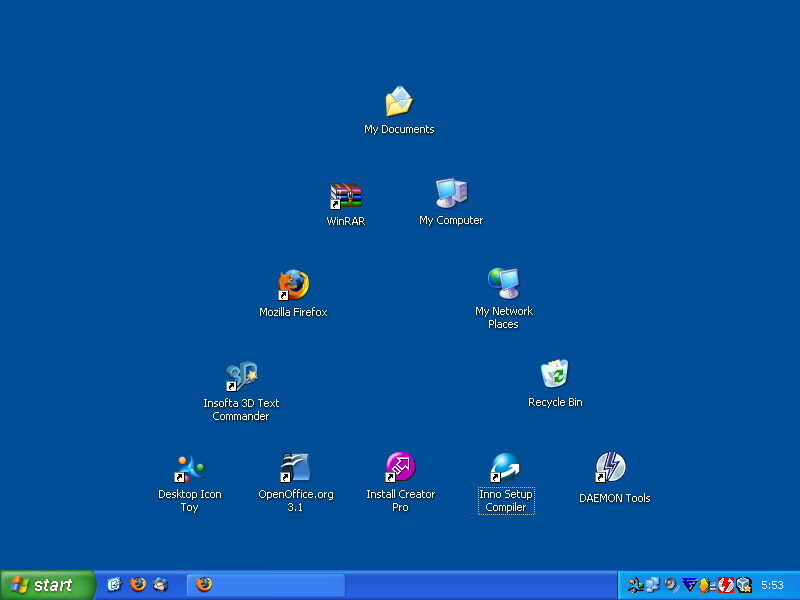 It will also allow you to have Vista-style big icons in XP, 2000 or 9x. You can purchase it for the price of $16 or if you were lucky, you could have gotten this software for free from Giveawayoftheday on April 12, 2009.